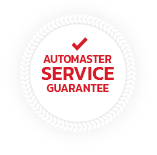 Automaster Equipment specialise in supplying quality workshop equipment at very competitive and affordable prices. All new equipment comes with full warranty’s, training and after sales service. Finance packages can also be negotiated to suit every budget. With over 80 years combined experience in the automotive industry we understand how important it is to match equipment to suit your business' individual needs.